Firstly, I will say that I am no longer going to apologise for my irregular blogging. I used to aim to post on a weekly basis, but lately life gets in the way far too much and I am still sans laptop. This is likely to be an ongoing problem for some time, so from now on I will be a more infrequent blogger but I hope you will keep visiting me when I have something to show you. Secondly, thank you for all your kind words regarding the burglary. Unfortunately, the police haven't managed to recover any of our possessions and as predicted, the insurance company is so far refusing to cough up; they don't know yet what a determined little beast I can be when I put my mind to something so I am hopeful that we may get some good news yet. So, all that having been said, let me show you a little of what has been keeping me cosy of an evening. 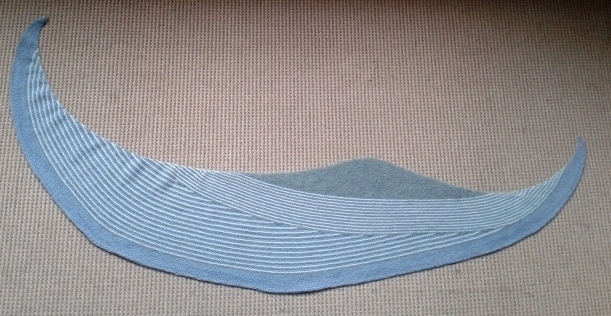 First up is a shawl that has been incredilbly popular on Ravelry, the Color Affection. The idea is to take three different yarns (either lace weight or 4ply) and combine them in garter stitch rows to make a cosy wrap. I had been wanting to try this for ages but hadn't found a colour combination I was happy with, so made sure to buy something specifically at Ally Pally. I cast on the day after I got back and finished last week. The last few rows are a bit hard-going as they take about 30 -40 minutes to complete. I haven't blocked this monster yet; I need to get some advice from the girls at SnB. 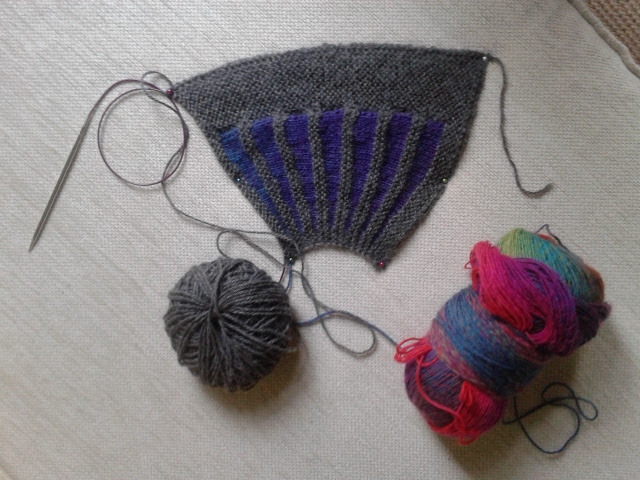 My problem is that as a tight knitter, my shawl has come out quite a bit shallower than it should have done and the top left edge (where the three-colour stripes start) is incredibly tight and I don't think blocking will relax it. For the bottom edge I used a different technique to cast off which made the edge loose. This was the most fiddly and time-consuming cast off I have ever done and I had to break it down over three sessions! I wish I had tried this technique on my Changeling Shawlette though as it would have solved the stretch issue, but you live and learn. I have worn the Color Affection, which is more of scarf really and am happy to report that it matches my winter coat perfectly and the alpaca yarn (the green colour) makes it really swishy and snuggly. I might attempt another one day but I will have to address my tension issues first! Before I had completed the marathon cast off, I snuck this little treasure onto the needles. 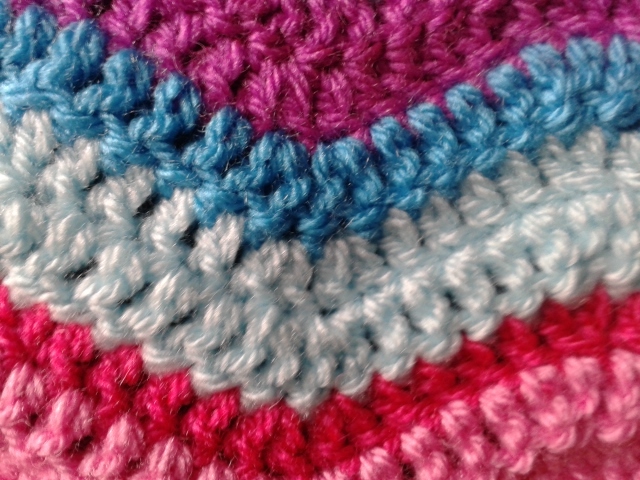 It is another pattern that I have been itching to make, due to it's clever use of slow colour-changing yarn. Usually people kit it with Noro Yarns, but although I like the pictures I see of finished results with Noro, to me it looks un-appealing when I have seen it for sale and it feels really scratchy. My alternative is the Poems yarn I used in my Changeling Shawlette. 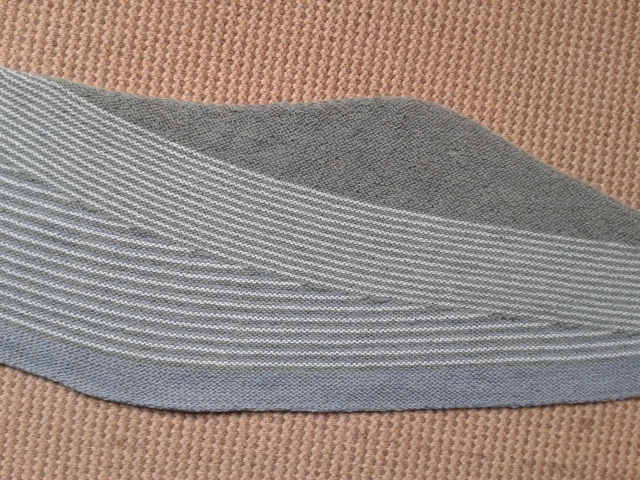 It is lovely and soft and a good deal cheaper than the Noro too. I have a different colourway this time. For this scarf you knit little wedges of the colourful yarn in between the solid sections of the contrast. 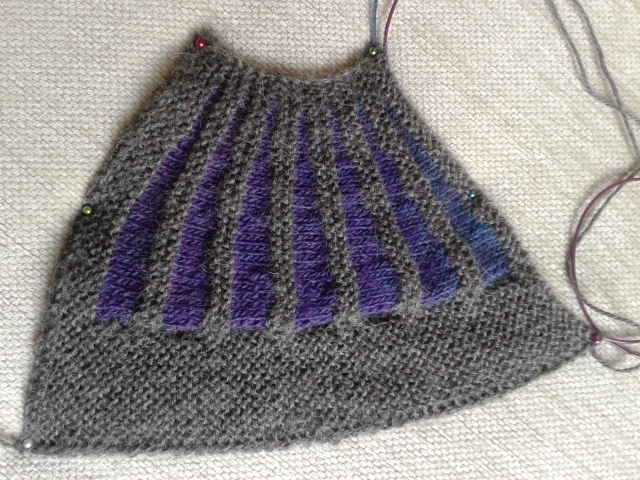 So far I am still on the purple but you can see from the yarn that I will eventually have a myriad of jewel-coloured wedges, that turn inwards in a spiral. Miss Magpie Jr has already staked a claim on this one, which I am really pleased about as she usually turns her nose up at my latest creations. Also, I think the Poems is long enough to get two scarves out of, and as a short-row project it is much easier to make time for. 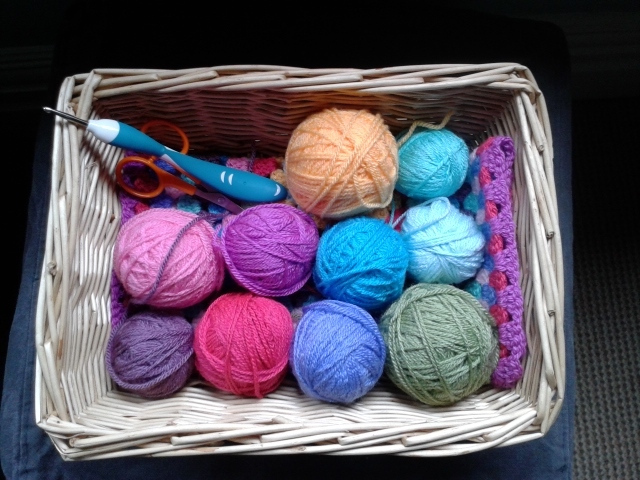 I can't reveal too much of the final project as it is under construction for a present, but I can happily report that I have re-kindled my passion for crochet, which had been rather doused during Larmer Tree. I am also using my cheap acrylic yarn again and have surprised myself by loving it as much if not more than some of the 'posh' stuff I have been knitting with. So much so that I will be 'forced' to go and buy some more now ;). All I can give you is a little close-up, I don't want to ruin the surprise. We have had the sniffles around these parts. Yesterday I spent a glorious day on the sofa in front of the fire with the littlest Magpie as we were both poorly but I got lots of hooking done and it was nice to be indoors. Today we are all going about our usual routines and I'd better get some housework done! Just catching p on your posts, sorry about the previous post, I do hope you manage to sort out the insurance people. Delighted to find your blog. Beautiful work and lovely colours. Beautiful knitting! I hadn't come across either of those patterns, the colour change spiral will be so effective! wishing you luck battling with the insurers.